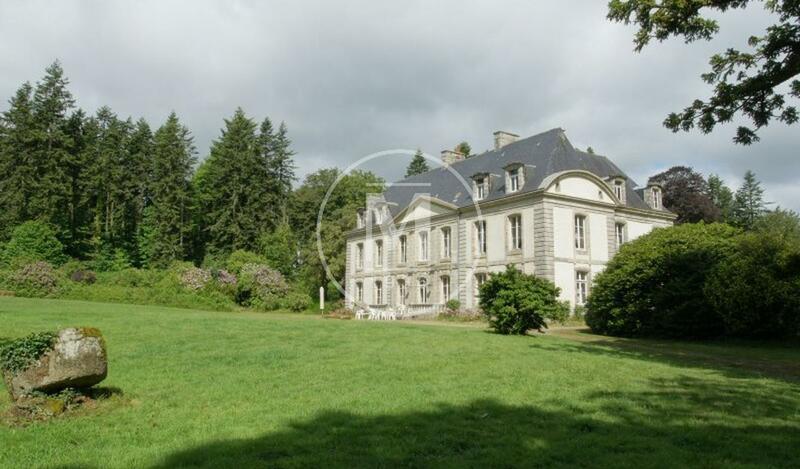 Morbihan, 10 km from the beaches, charming Chateau on 22 hectares of park and woodland, calm environment. Well maintained. Interior to renovate. A beautiful driveway lined with tall trees leads to the Chateau. In the spring, the Rhododendron and Hydrangea beds are in bloom all around the lawns. 4 rooms on the ground floor, two square living rooms, very bright with their double exposure, a beautiful dining room, the kitchen and small service rooms. On a plot at the end of the park, invisible from the Chateau, two small buildings: kennel, storage areas, and a shed of 45 m2. The proximity of a city with all amenities, the access to the beaches, seascapes and several marinas make this property particularly attractive.